When you spend a lot of time in the garden, one thing you'll start to notice (hopefully) is the abundance of wildlife that surrounds you. I'm not talking about rabbits, deer, birds and the rest. I'm talking about the small garden inhabitants and visitors: the "minor wildlife". 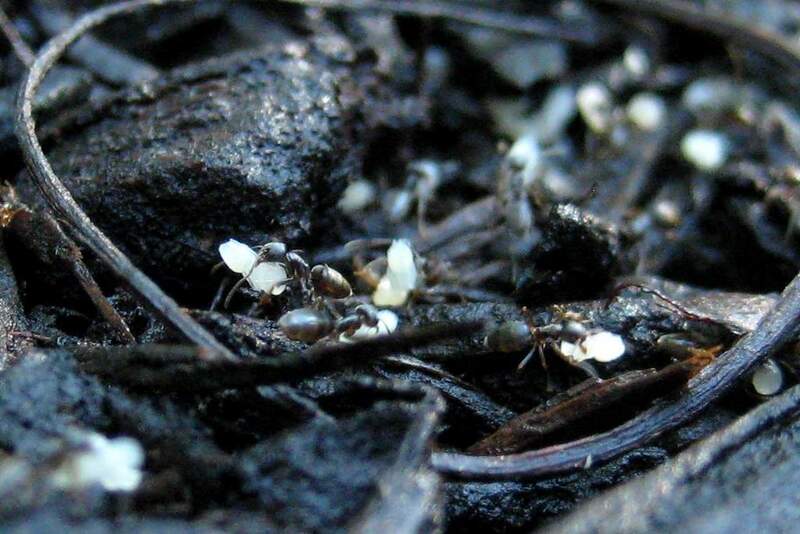 It amazes me how many different types of insects and other invertebrates I can see if I just look closely at almost any small part of my garden. 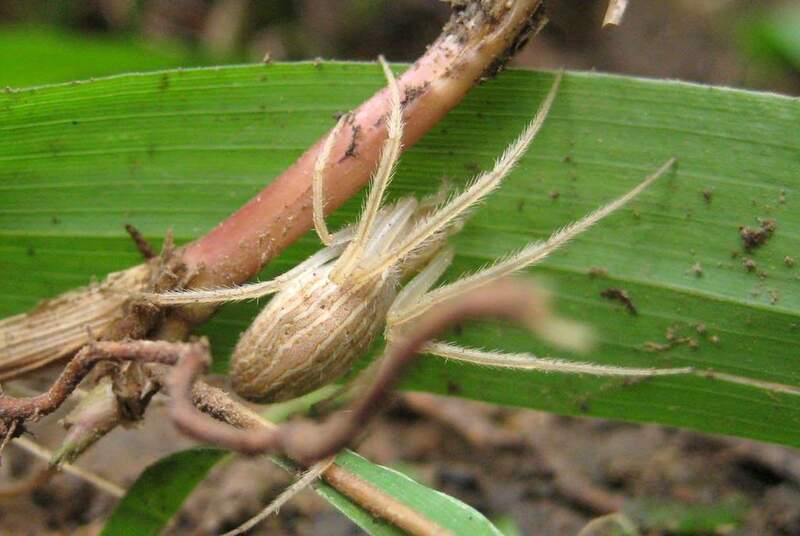 Now if you're somebody who spends a lot of time among the plants and digging in the soil you might not appreciate these critters. You may even have a dislike or fear of them, which is understandable. If you can get past that though, there's a fascinating world among the flowers and foliage. 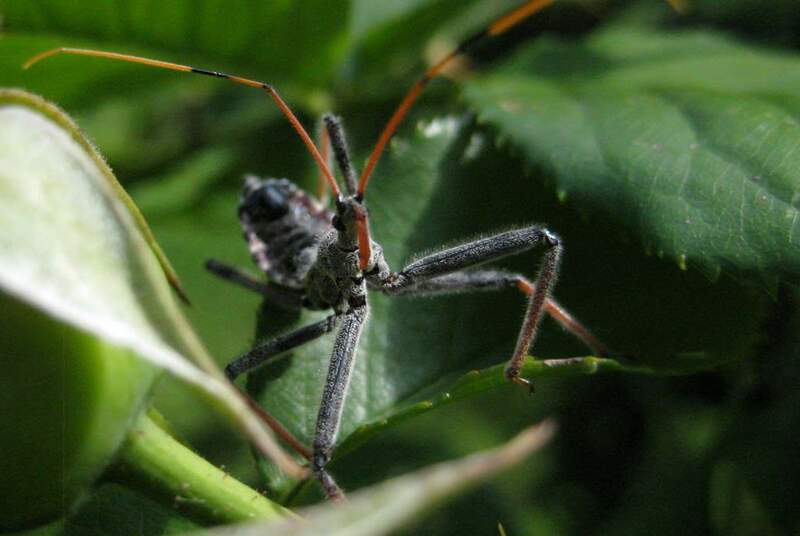 Take this guy for instance: an assassin bug of some type. 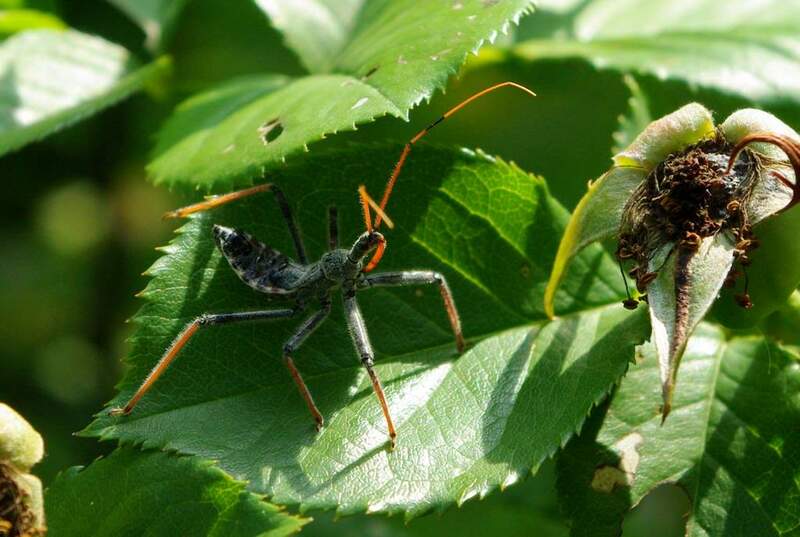 It was on my climbing rose, hopefully hunting Japanese Beetles. The light was hitting him just the right way, highlighting him and making me put down the soapy water bucket and run for the camera. Such nice colors and interesting texture on it's back! That long tube that is folded back under its chest is what it uses to eat, plunging it into other insects and drinking their bodily fluids. I wonder how many beetles this guy can drink in a day? 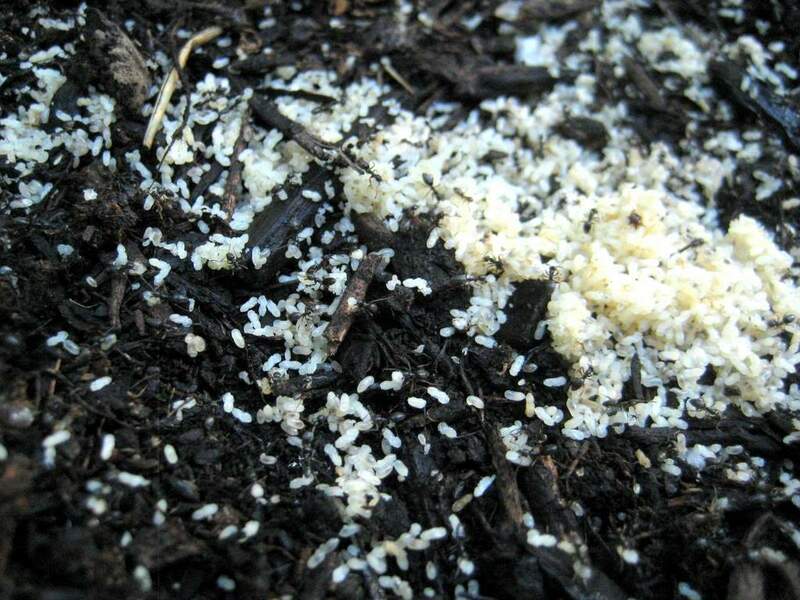 Although it may seem like a pile of rice, it's actually young ants that are still developing. Are they called "nymphs"? I don't know that I've ever seen so many of these piled up together like this before. 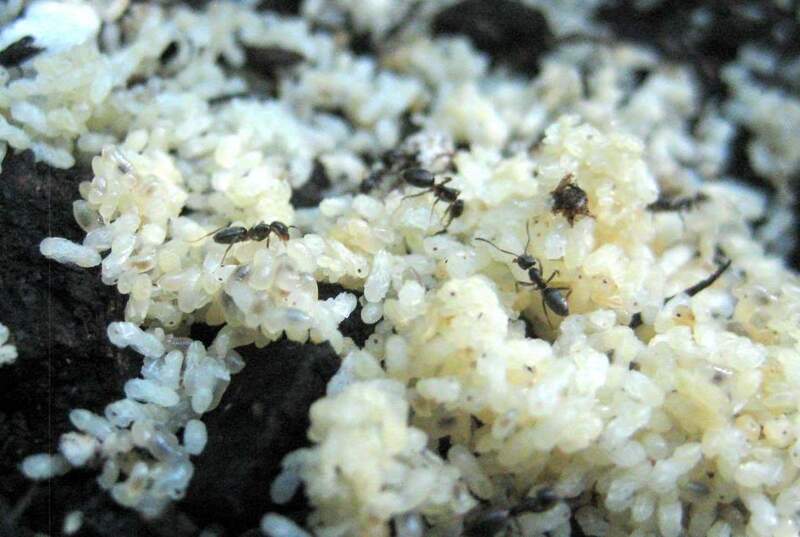 It seems like this is a good year for ants so far -- must be all of the rain and early warm temperatures. Surprisingly, I didn't get covered in ants taking photos this time. I did pay attention to where I was standing and putting my hands though, so that probably helped. Moving on to something that's not an insect. 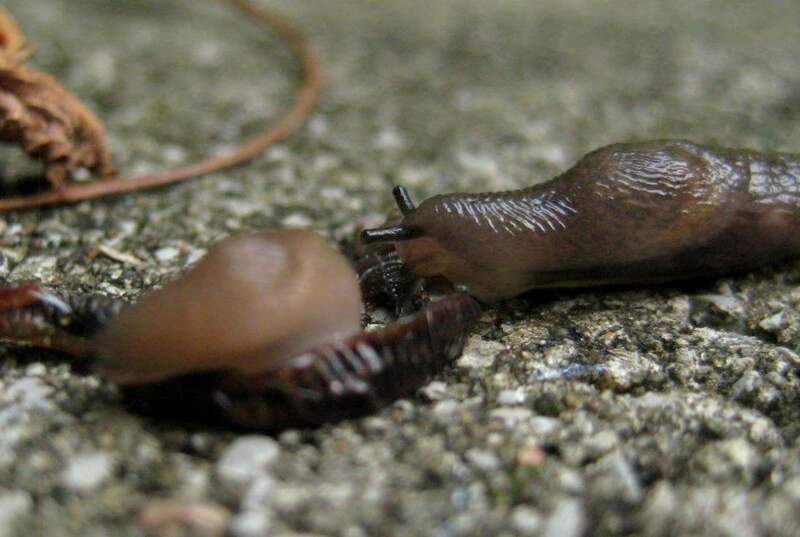 We probably all have slugs in our gardens, chewing up our nice green leaves. 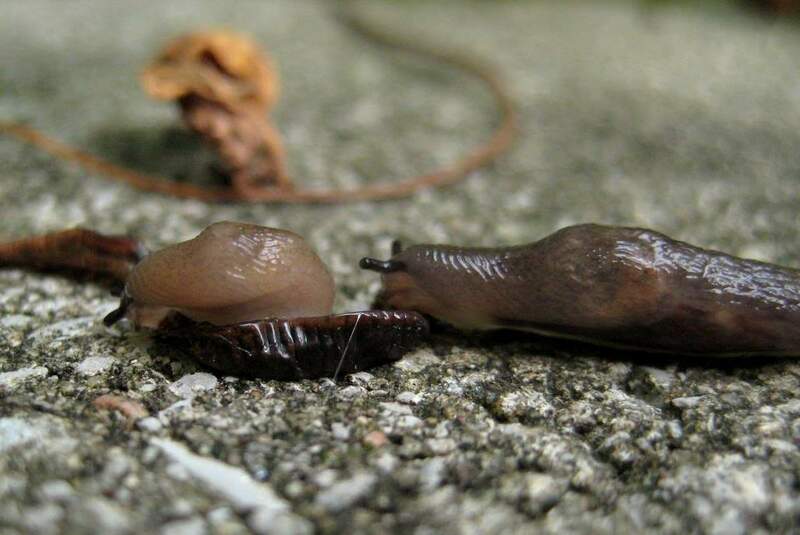 Did you know that slugs eat more than just plants? I didn't either, but here's the proof. I think the earthworm was already dead, but I can't be sure. I can't imagine a slug would actually kill a worm, so I have to think that they're scavenging here. 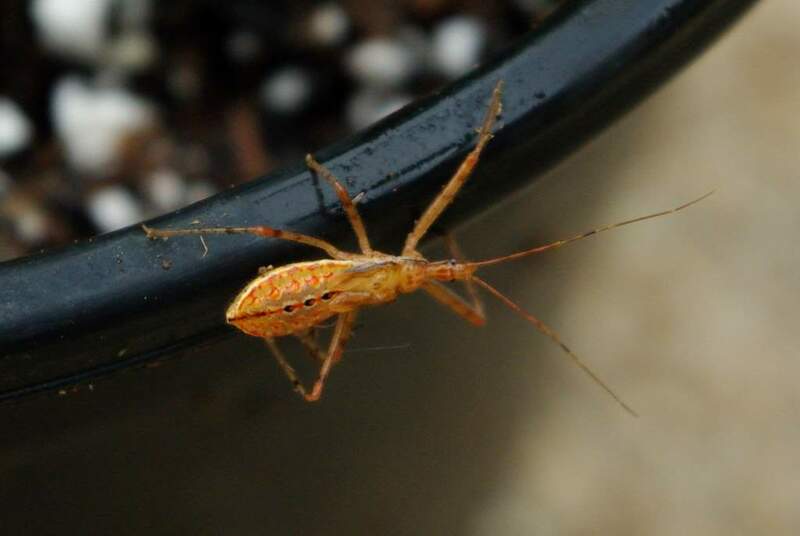 I think it's another species of assassin bug, but I can't be sure. 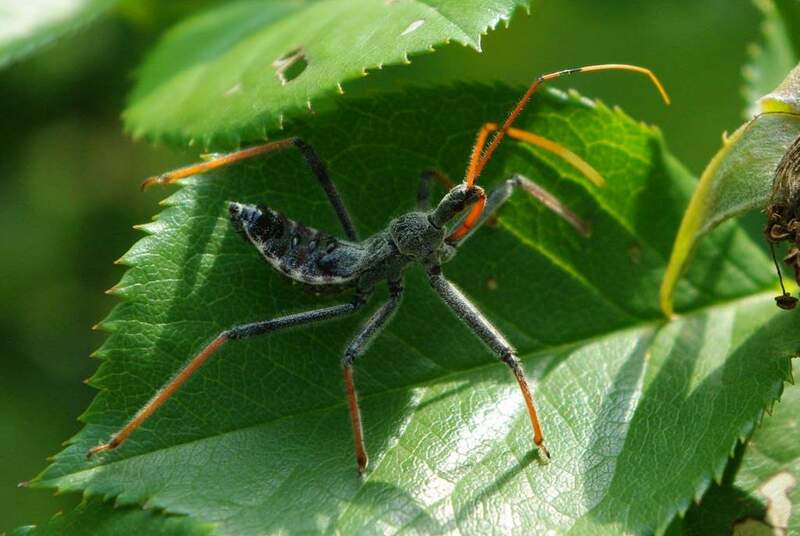 There are some great websites for helping to identify insects, like what's that bug, and bug guide. Check them out when you have a chance. I'll post about that project soon (tomorrow I think), but there were a lot of insects that were disturbed by my work here. The spider is the only one I got a photo of though, as my camera battery was dying and I was tired, dirty, and sweat was pouring from my face. So I was really only in the mood to take a quick look at most of the critters -- taking photos was out of the question. At least I took the time to look though, and that's the important part. If you don't stop and take a close look at what's around you in the garden once in a while, you'll be missing so much of the minor wildlife that's around you, and that would be a shame!